At the risk of opening this post with an obvious metaphor, imagine your brand as a ship. You’re lost, adrift in an angry sea of commerce. The celestial signposts that typically guide your way are shrouded in the clouds of market uncertainty, and the waves of competition are crashing down all around you. Now, if you could have one thing to help guide your brand toward tranquil waters, what would it be? A brand compass is an invaluable tool for charting a course to your brand’s success. It’s a distillation of critical insights gleaned from the brand research and positioning process. It is the wellspring of brand authenticity, comprising 5 core insights behind the decisions of every truly authentic brand. In short, a brand compass comprehensively represents both where your brand is going and why it’s going there. A well-defined brand compass serves as the foundation for successful brand-building initiatives, ensuring consistent messaging and identity across all touchpoints. 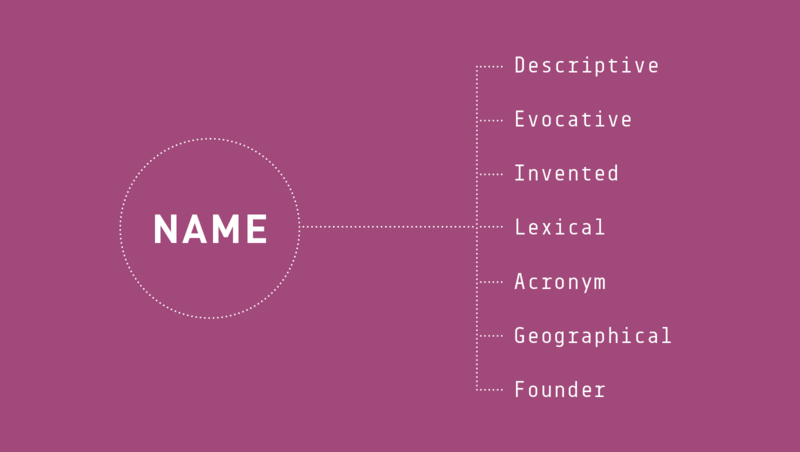 Its components represent a cross-section of the most profound truths about your brand. Here’s a breakdown of the 5 essential pieces that make up a brand compass. The distinction between purpose, vision, and mission is both critically important and widely disagreed upon. It seems like every article on the topic has a different definition of these terms. What’s imperative is that you know what each of them means for your brand. Here’s how we define them. Purpose is the reason your company exists beyond making a profit. It’s the answer to the most profound question your organization faces: why? Your brand’s purpose should be dynamic and motivational. It should connect with the heart as well as the head. Your purpose encapsulates your brand’s impact on the lives of those you serve—be they customers, students, patients, or the community at large. Beyond making money, why do we do what we do? What are we most passionate about? What drives us as an organization? What does the world need most that we are uniquely able to provide? Disney: To make people happy. Smithsonian: The increase and diffusion of knowledge. The Nature Conservancy: To leave a sustainable world for future generations. Your vision statement describes the desired end-state toward which your brand is headed. It’s the ideal world your brand hopes to bring about. Your vision should be lofty—even audacious. For nonprofits, a vision statement often describes a world in which their services are no longer necessary. If Oxfam was able to achieve their vision of “a just world without poverty,” they’d be out of business. But that’s the idea. Think of your vision as an inspirational story your brand’s leader would tell to rally the troops. It should be clear and simple, avoiding elaborate language and buzzwords—a story that anyone associated with your brand could easily explain. What change do we hope to affect in the world? Whom does our organization serve? What problem are we looking to solve? What is our desired end-state? Oxfam: A just world without poverty. Habitat for Humanity: A world where everyone has a decent place to live. IKEA: To create a better everyday life for the many people. CVS Caremark: To improve the quality of human life. Your mission statement is your brand’s roadmap. It charts the route to your vision by describing what you’re going to do, how you’re going to do it, whom you’re doing it for, and the values that motivate your actions. Your mission should be a confident assertion of your plan, and bolster confidence in your brand’s expertise. A mission statement elucidates the promise your brand makes to its customers. It defines both the product or service you provide and the level of quality with which your committed to providing it. What value are we bringing? Mayo Clinic: To inspire hope and contribute to health and well-being by providing the best care to every patient through integrated clinical practice, education and research. Patagonia: Build the best product, cause no unnecessary harm, use business to inspire and implement solutions to the environmental crisis. Feeding America: To feed America’s hungry through a nationwide network of member food banks and engage our country in the fight to end hunger. NPR: To work in partnership with member stations to create a more informed public – one challenged and invigorated by a deeper understanding and appreciation of events, ideas and cultures. Your brand’s values are the principles on which your company culture is founded. They outline what is most important to your organization—from a moral, ethical, and philosophical perspective. It’s critical that your organization has consensus on what matters most—not only to its leadership and staff, but also to its customers. Alignment of internal and external values is paramount. After all, nothing is as important to the relationship between a brand and its customers as trust. And customers trust a brand that shares their values. What are we most proud of? What are the principles we won’t sacrifice for anything? What is most important to those we serve? How would we like to be viewed by others? The following are the values that inspire and motivate us here at Ignyte. WE ARE PASSIONATE: We bring an ardent fervor to each and every project we take on. We channel our all-consuming quest for authenticity into your brand’s unique needs and goals. WE ARE IMAGINATIVE: We refuse to rely on stock solutions to strategic planning and creative execution. Our efforts are inspired by boundless ingenuity and unconventional inventiveness. WE ARE INSIGHTFUL: Authentic brands are the product of profound introspection. A keen awareness of subtle yet important truths allows us to get at the heart of who you are. WE ARE COLLABORATIVE: If there’s one thing we know it’s that we can’t do it alone. In building your brand, we place the utmost value on open communication and cooperative efforts. WE ARE FEARLESS: We aren’t afraid to try bold and innovative strategies that defy conventional wisdom. Safe, conservative, status quo: for us, these serve only as guidelines of what not to do. WE VALUE EXCELLENCE: Our standards for your brand’s quality are exceedingly high. We settle for nothing less than exceptional strategic direction and flawless creative execution. Strategic objectives are your brand’s real-world business goals. They ground the loftier and more abstract language of your purpose, vision, and mission, by delineating the tangible milestones you plan to achieve. Strategic objectives should be ambitious, and function as a beacon for the stages of growth on your road to success. They typically take the form of an inward-facing statement that encompasses your strategic plan, but they can also be a simple list of tangible objectives. What is the tangible manifestation of our vision and mission? How will we know we have accomplished this goal? What milestones do we have to reach along the way? What’s the best way to strategically prioritize these milestones? Are all of our objectives aligned? Develop the leadership abilities and potential of our team. Promote thought leadership through a commitment to education. Increase efficiencies through the use of cloud technology. Exceed $10M revenue in the next 3 years. It’s important to remember that the brand compass doesn’t purport to represent the totality of your positioning framework. There are other elements such as brand personality, value propositions, competitive advantage, and more, which aren’t captured by the compass. What it does represent is the core tenets of your brand. And if you’re navigating with these fundamental principles as your guide, you can be sure you’re charting a course towards real and profitable success. Is a Single Page Website Right for Your Business?